6. Bond, Eddie Talking Off The Wall Ekko (Calif.) 1015 1955/Aug. 15. Burcham, Barney Can't Steal My Way Around Meteor (Tenn.) 5023 1955/Oct. 18. Earls, Jack Hey Jim Sun (Tenn.) uniss. 23. Bond, Eddie Double Duty Lovin' Ekko (Calif.) 1015 1955/Aug. 24. Hooper, Jess All Messed Up Meteor (Tenn.) 5025 1955/Dec. 26. 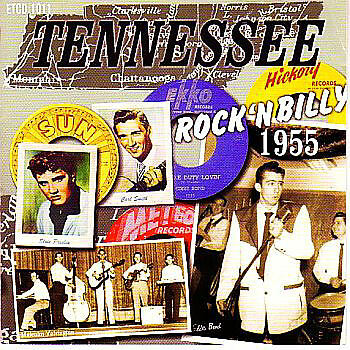 Baugh, Smokey Joe Listen To Me Baby Sun (Tenn.) 228 1955/Dec. 27. Thompson, Hayden I Feel The Blues Coming On Von (Miss.) 78-HT1001 1955/Nov. 32. Cash, Johnny Rock And Roll Ruby [unissued] uniss.